The Fleur de Lis is a common symbol from the Middle Ages. It is most frequently associated with nobility, oftentimes French nobility. That does not mean that the Classic Fleur de Lis Bracers are for nobility only, though. They are suitable for anyone. 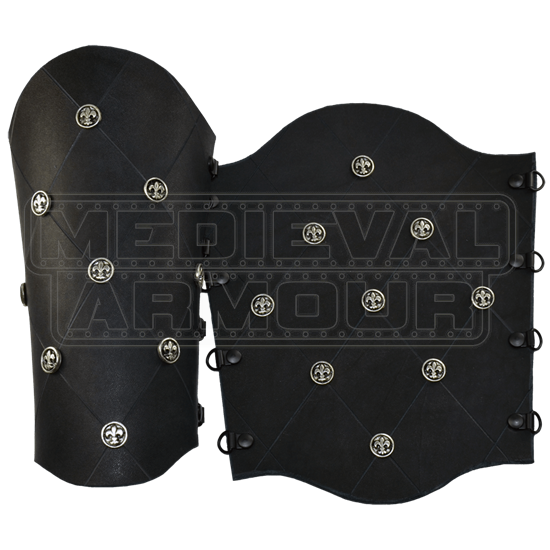 Whether you work, fight, or pray, these bracers make for an excellent accessory, which means nobles and peasants alike can enjoy these fantastic bracers. Across the surface of the bracers is a crisscrossing series of lines that create several simple diamonds across the surface of the bracer and at the diamonds corners are mounted little fleur de lis emblems. The bracers feature outwardly curved edges, which, when folded, give the bracer a wonderfully rounded appearance. 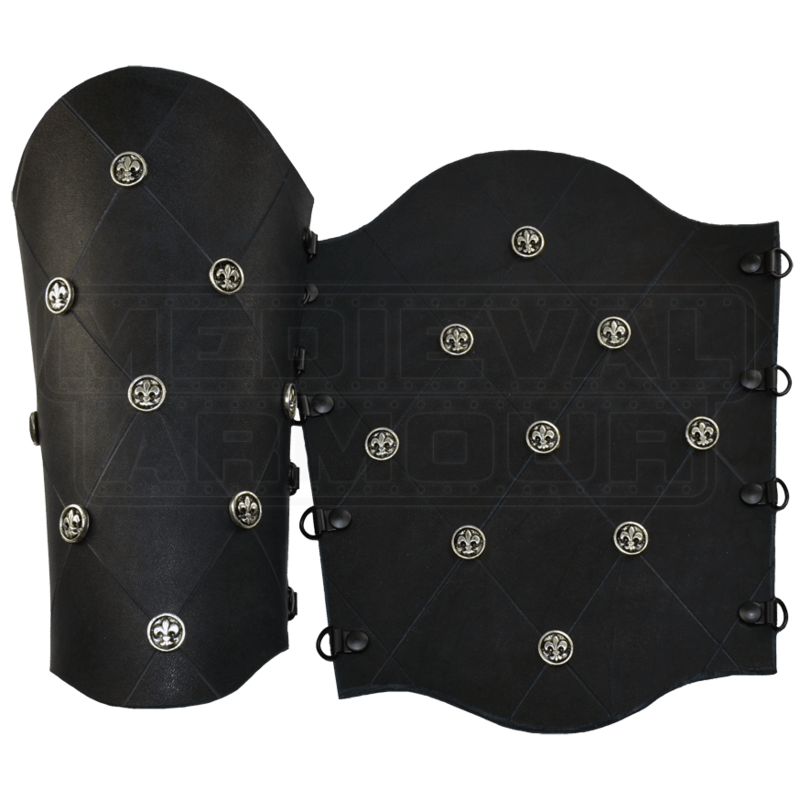 The bracer also features black metal speed lacers on the sides to allow for convenient, easy, and fast lacing, so that they can be put on quickly and stay on for quite a while. And even better, the Classic Fleur de Lis Bracers are hand-made from quality 7/8 oz. leather. They are fit for a noble but priced for everyone.